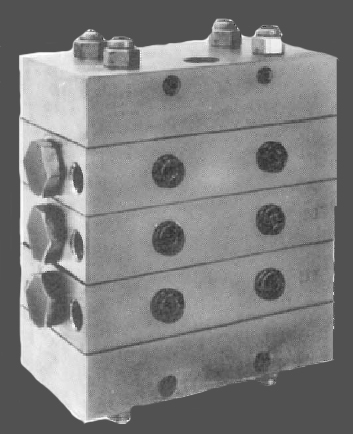 The MX and MXO divider valve can have between three and ten sections. It is desigened to pump oil or grease. The discharge volume ranges form 0.025 to 0.150 cu.in. The maximum pressure is 3000 PSI.